These are 0.5mm Silver Metal Wine Glass Rings with 5 rings in a bag. These rings open. These are 10 x 16mm Gold Leverback with Loop Earwire - 5 earwires in a bag. 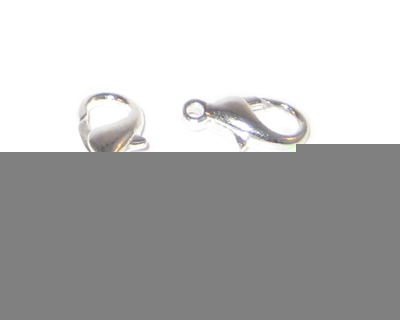 These are 10 x 16mm Silver Leverback with Loop Earwire - 5 earwires in a bag. These are 10mm Gold-Plated Lobster Clasp, 18 clasps in a bag. These are 10mm Silver-Plated Lobster Clasp, 18 clasps in a bag. These are 12 x 18mm Gold Leverback with Loop Earwire - 6 earwires in a bag. These are 12 x 18mm Silver Leverback with Loop Earwire - 6 earwires in a bag. These are 12 x 4mm Gold Necklace Bales with Loop, 5 bales. These are 12 x 4mm Silver Necklace Bales with Loop, 5 bales. 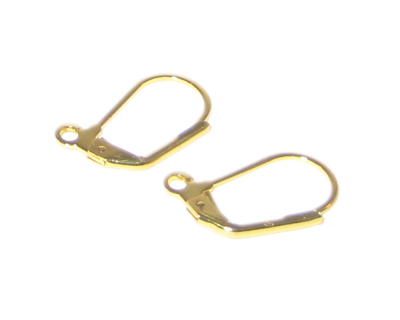 These are 16mm Gold-Plated Lobster Clasp, 5 clasps in a bag. These are 16mm Silver-Plated Lobster Clasp, 6 clasps in a bag. These are 18 x 8mm Gold 3-holed Rhinestone Spacer Bars, 6 bars. These are 18mm Gold Hook Earwire - approx. 40 earwires in a bag. This is 1mm Silver Necklace Memory Wire - 10 Spirals. These are These are 2 inch Gold Headpins - approx. 60 pins in a bag. These are 20 - 40mm Silver Metal Brooch Pins. Various sizes, with 8 pins in a bag. These are 2mm Gold-Coated Crimp Bead - approx. 250 beads in a bag. These are 2mm Silver-Coated Chain Ends - 20 in a bag. These are 2mm Silver-Coated Crimp Bead - approx. 250 beads in a bag. This is a 3" Silver Metal Bookmark. These are 32 x 14mm Silver Metal Keychain, 3 keychains in a bag. These are 3mm Gold-Coated Crimp Bead - approx. 250 beads in a bag. These are 3mm Silver-Coated Crimp Bead - approx. 250 beads in a bag. These are 3mm Silver-Coated Crimp Tube - approx. 250 tubes in a bag. These are 4 x 8mm Gold Terminators - approx. 34 in a bag. Used for cord and leather.